One of the best emails I received when I was in Taiwan was from the client that I made this wedding cake for in June. 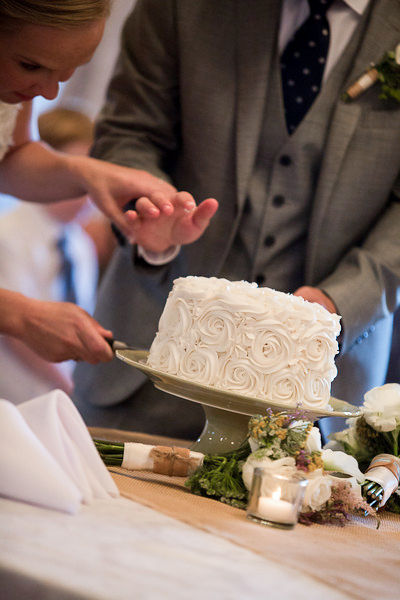 I was so caught up in the whirlwind of my mission trip that making the wedding cake was a distant memory, and I hadn’t thought about it at all since dropping it off at their venue. 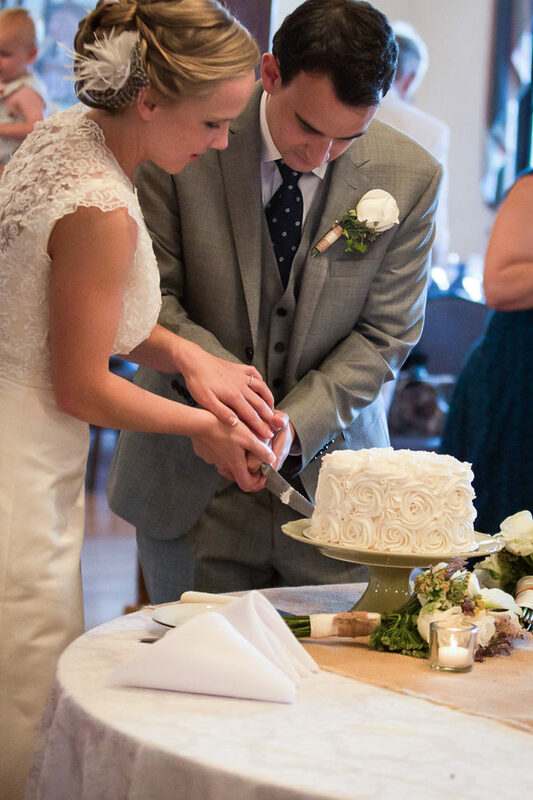 Much to my relief, in her e-mail the bride expressed her gratitude for the cake that “looked and tasted wonderful,” and even included these pictures for me to share on here. I just loved seeing my work photographed in action, instead of photographed with carefully chosen props and lighting and dozens of takes per set-up. I feel like I’ve got this rose cake thing down to a T, now that I’ve done it four or five times. My client actually saw the Purple Ombre Rose Cake I made for her friend’s bridal shower, and ordered it in white for displaying/cutting at her wedding. The timing was tricky because I was in North Carolina for orientation from Wednesday to Friday, and the cake had to be finished by Saturday afternoon. I got home past midnight, and had to wake up super early the next morning to finish the cake. It was fun though, and definitely went smoother than the rose cakes before this one!